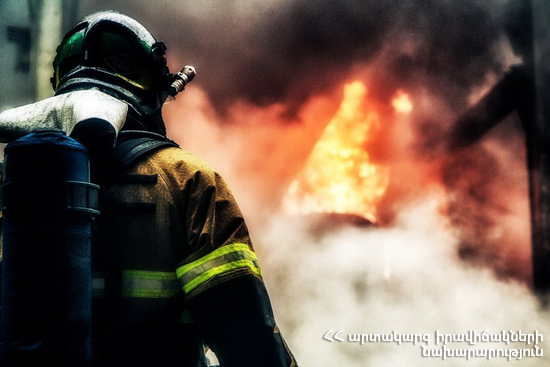 On February 10, at 06:41 an emergency call was received to “911” service that a house was burning near the crossroads of Sayat-Nova avenue and Tumanyan street of Armavir town, Armavir province. It turned out that the fire had broken out in one of the houses in Tumanyan street. The fire was isolated at 07:10 and extinguished at 08:03. The wooden constructions of the roof (about 70 m2) of the house, a window (10 m2), firewood (about 10 m2) and household items (20 m2) burnt. There were no casualties.